Port Canaveral is one of the busiest port cruises in North America. With millions of cruise passengers passing through annually, most people arrive here with bus transportation. 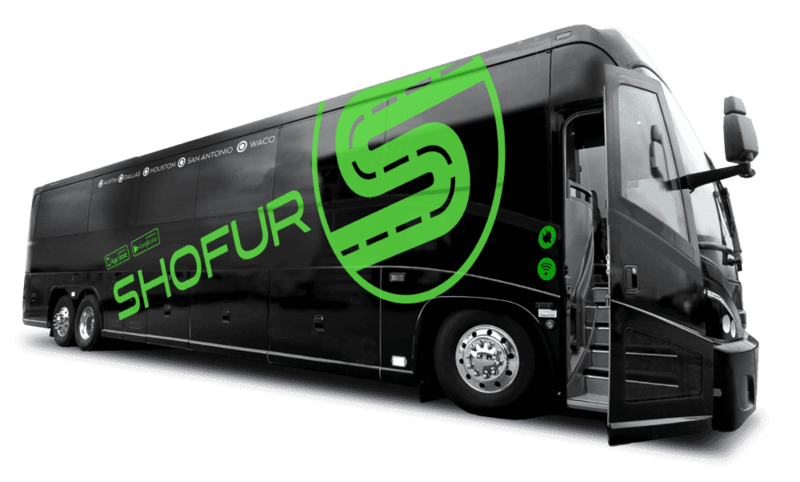 Shofur is the most trusted place to rent charter buses in Port Canaveral FL. With access to hundreds of buses in Florida, Shofur can get you a bus within half an hour's notice. Buses feature televisions, luxurious seats, overhead storage space, underneath space for luggage, and modern lavatories. Call one of our sales agents today or fill our the Get A Quote form for instant rates. It's an important strategic location for cruise, naval, and cargo port on the Atlantic coastline of central Florida, also known as the Space Coast. The cruise port is one of the busiest in the world with nearly 4 million cruise passengers passing through annually. Its cargo port is also full of activity and moves products such as petroleum, cement, and aggregate. Port Canaveral is also near the Kennedy Space Center, Parker Brothers Concepts, Cocoa Beach, and Merritt Island's National Wildlife Refuge. The Kennedy Space Center is the place where you can actually see the largest rocket ever flown, meet an astronaut, touch a moon rock, or stand next to the shuttle Atlantis. Visit the Atlantis Theater where you'll learn the stories of those who dared the impossible. You can also experience first-hand what it's like to be in a Space Shuttle Launch. Visit the Apollo exhibit, the Rocket Garden, Eyes on the Universe, Journey to Mars, and Nasa Now, where you'll discover the future of the space program. Children will love to play in their own Play Dome. Tours are offered daily, and if you plan ahead, you just might be able to witness the launching of a rocket. Parker Brothers Concepts is a reality-television show based on designing and building some of the craziest and outrageous custom vehicles in the world. The Parker Brothers are known for building custom motorcycles, off road vehicles, and unique concept cars. It's a very unique place to visit, especially if you are a car enthusiast. Cocoa Beach is just south on the coastline. One of the most popular things to do is to go deep sea fishing. There are several fishing charter companies available to take you out in the open waters of the Atlantic. Whether you want to fish for sharks, red snapper, amberjacks, cobia, grouper, mahi, or vermillion, it's a once in a lifetime experience. You can catch enough fish to take home for an entire year. The fish are just out there waiting to bite! Cocoa Beach also has beautiful beaches, a world-famous pier, and Ron Jon's Surf Shop. It's the world's largest surf shop and is open 24 hours a day. Whether you want a surfboard, flip-flops, or sunglasses, you'll find everything you need for your beach vacation. They also offer surfing lessons. There are terrific restaurants right on the water that offer delectable fresh seafood for your dining pleasure, along with first-class resorts. Just a stone's throw from Port Canaveral is Merritt Island where the National Wildlife Refuge is located. The area was first purchased as part of the Kennedy Space Center, but not all of the land was necessary for the center, so the unused portion became the refuge. If you love birds and wildlife, this is a must visit. It's also known as the "gateway site" for the Great Florida Birding Trail. The park has one of three strong hold populations of Florida scrub-joy, a threatened species. You'll see beautiful ibises, roseate spoonbills, eagles, egrets, and osprey. Other wildlife that is especially interesting to see is alligators, sea turtles, manatees, bobcats, Florida panther, and salamanders. Why not allow us to "chauffeur" you around in one of their bus rental vehicles or charter bus? Leave the driving to them and their experienced drivers to allow you to ride in comfort for one of the most relaxing vacations you could possibly dream of. The Space Coast of Florida has so much to offer as far as beauty and entertainment. Port Canaveral is just waiting for you to arrive.